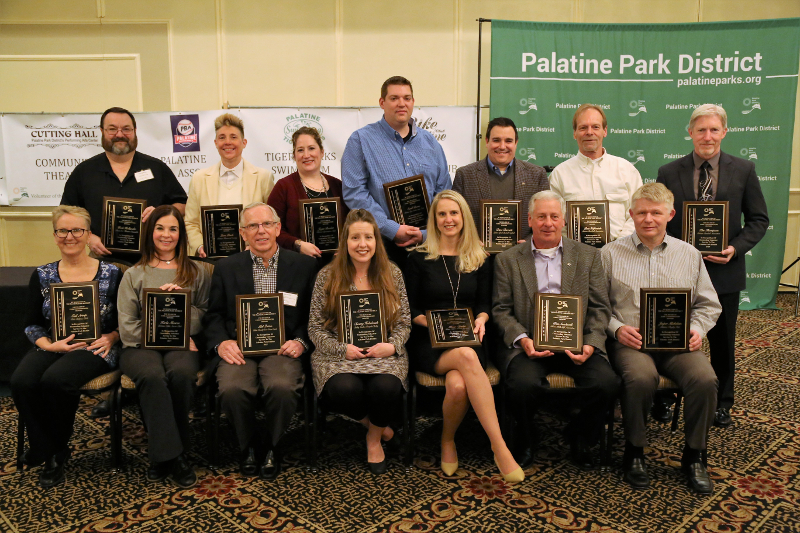 On Saturday, February 3, Palatine Park District recognized 17 volunteers for their service to affiliate groups and associated organizations with the District. Volunteers were chosen by each organization for their service during the 2017 calendar year and were recognized during a luncheon held at Cotillion Banquets, 360 S. Creekside Drive, in Palatine. In addition to these volunteers, Gary Gray was inducted into the Volunteer Honor Roll for his 23 years of service and significant contributions to Palatine Baseball Association. To be considered for the Honor Roll, a volunteer must have held a leadership position in an organization (or organizations) for a significant number of years. Honor Roll members must also have demonstrated an outstanding contribution to their organization. Annually, the Honor Roll committee reviews all past and current volunteers of the year and provides recommendations to the Palatine Park District Board of Commissioners for consideration. The Volunteer Honor Roll committee includes Donelda Danz, Alissa DePue, Linda Fleming, Dennis Hanson, Jim Lennon, Carolyn Mangold, Gus Panos, Don Torgersen, and Keith Williams.